« The Name Is Bond… Carol Bond! This interview was a labour (or ‘labor’ for American readers) of love. I always wanted to get these two veterans in a double interview. An interview that would allow me to put their respective Q and A sessions under the microscope. What makes a good interview? Well, questions! Before we get into it, let me tell you about the two writers I am interviewing. Mike Trahan is quite possibly the epitome of Texas. He is a bold go-getter, and I loved his book. 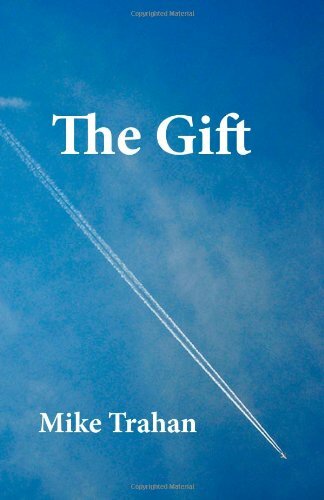 “The Gift” has been selling quickly and you really should pick it up if you haven’t already. Mike is a Vietnam vet who writes it exactly as it was. He left the farm he grew up on over in Texas and managed to become an ace pilot. Mike Walsh and I have been friends for a long time now. His books have included Key of Wands, Eddie’s Method, Just Some Old Man and many others. His latest book has just been released to rave reviews and now he is doing the interview rounds. 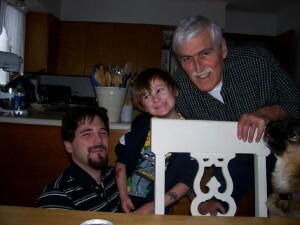 Mike served in Korea during the late 60s and early 70s. Like Mike Trahan, he was in a far away land, doing far away things and trying to stay alive. Now, the premise of this interview was to talk about the way a biography is written. I wanted to find out the nitty, gritty details of how these two exciting writers put together their work. Excited yet? You should be! This is a pretty good interview…. Even if I say so myself! Nick Wale: Right, guys. Okay, let me start by asking Mike Trahan, where were you when Kennedy was assassinated? Mike Trahan: I was in College at The University of Texas in Austin. I had just come in from a flight and was tying my airplane down when I heard the news. Nick Wale: I imagine everyone around at the time remembers where they were– how about you, Mike Walsh? Mike Walsh: I was in high school at the time. I think I was trying to avoid my math class when we got the news. Nick Wale: Mike Trahan, do you think if Kennedy had lived there would have been no Vietnam and therefore you would have just served during peacetime? Mike Trahan: I’ve never speculated on that question, Nick. I’ve always dealt with what was, not what could have been. I can’t answer that question. NW: A man of the moment! Okay, Mike Walsh, same question to you! MW: I agree with Mike T. on this one. I do know that during his presidency, the US did increase its presence in Vietnam with advisers. So it could be that it would have happened anyway; but that’s just conjecture on my part. NW: As an author, MT, do you believe you can interpret history your way, or do you refer to the actual events and read the official histories and fit yourself in? How do you write about your part in such a well-documented war? MT: I wrote about my role in Vietnam, Nick. I avoided the political ramifications of what we were doing. I did criticize the Department of Defense, Robert McNamara and LBJ for micro-managing that war from Washington instead of letting our field commanders do it. The stupid Rules of Engagement they laid on us were killers–meaning they got a LOT of us killed. I talked about the Tet Offensive because I landed in Saigon the night that started. NW: MW, as a soldier in Korea at the same time, were you hooked on listening to the latest news from Vietnam or were you too busy trying to keep alive in war-torn Seoul? MW: We were always listening to the news of that area. As many of us know, the news media often got it wrong. NW: Interesting answer, MW. MT, were you aware of action still taking place in Korea or were you too busy trying to stay alive? MW: I was involved in one Korea-related incident. It was the Pueblo Crisis, when North Korea captured our boat, the Pueblo, and it’s crew. I was flying the C-141 then and we flew round the clock in support of that crisis. But mostly I was concerned about what was happening in my immediate vicinity. NW: MW, I have to ask did you get much news from home whilst in Seoul? MW: Unfortunately, we got a lot of news about the demonstrations against Viet Nam at that time. It was disturbing to say the least. We hated that. MT: May I jump in on that? Mike Trahan as he looks today. The distinguished older gentleman still on fire. MT: Our news in Vietnam was censored and we didn’t get the negative stuff. That’s why I was so surprised to be called a war criminal and a baby killer when I got back to the states. MW: I knew about the demonstrations and was called those things, also. I never understood why they thought we were all murderers. NW: You were both two guys doing your job and going where you were sent… Do you think people realise that now? MT? MT: I think, since Desert Storm and the other campaigns over there, people realize what the military does for them. Some of that spilled over to the Vietnam vets and there has been a movement to retroactively show them appreciation. It does not matter to me one way or another. I got over my “Welcome Home” long ago. NW: How about you, MW? Are you over your ‘welcome home’? MW: Like Mike T, I got my welcome home a long time ago. I can say that I have never gotten over being called a baby-killer. It is something that has stayed with me. I know, like Mike T, that the Viet Nam Vets are finally getting the recognition they deserve; but, I have never forgotten that. MT: Nick and Mike W, the irony is this: Those people who called us Baby Killers are now the biggest supporters of abortion. Go figure! NW: MT, when writing your first book, The Gift, did you realise how popular it would be? MT: I had no idea, Nick. I wrote my book because people enjoyed my little flying stories on Facebook and encouraged me to put them in a book. The interest in my book has astounded me! NW: MW, you have also written a fascinating two-part biography. Did you ever think your book(s) would be so popular? MW: Honestly, no, I did not. It was just me trying to put my feelings down on paper. It was a much needed emotional dump for me. Part of the healing process. NW: MT, did you feel healed at all during the process of writing your book? MT: I was not facing any issues, Nick. My books are just a celebration of the journey that was my life. It did put a lot of things in perspective for me, though. NW: MW, did you find writing your biography an easy process? Did it all come easily or did you have to work hard at it and remember things you didn’t necessarily want to remember just to get the truth out there? MW: The hard part for me was revisiting everything while I was writing it. The emotions were very difficult to deal with while I was writing. The question of “Why am I still here?” was major part of my life for ten years after I left the military. Through my writing, I finally got the answer. NW: MT, do you seek any answers or are you happy with what you know about yourself? Mike Walsh and his lovely wife looking every bit the beautiful couple. MT: Nick, you have read my first book. You know that since an early age I have always been juggling a bunch of different things at the same time. I was just trying to talk about those things in some kind of order that people could understand. Once the book was written all kinds of things became apparent. Things I was not aware of, but that were pointed out to me by my readers. NW: Did anyone point out anything new to you after reading your book? MW: A few people did. They were surprised at some of the accounts in the book. I kept hearing over and over how they had never heard anything about that. My response was that there are a lot of things that happen in the military that the general public will never know. My personal opinion is I hope they never do. NW: What was your most surprising response from a reader? MT: I think the biggest surprise came from myself. When I started writing about my distant past (five years old and younger) I started having almost flashback type memories of my life. It was like watching a movie of it. From that I was able to write the most detailed memories. People are astounded at how accurate my memory was in this book. One girl told me I described our first date down to EVERY little detail. NW: Do you expect a different response from readers of The Gift: Part 2? MT: Part 2 is about the Air Force years. It is a heavier book, more mature and more serious. I am sure the response will be different. Good different or bad different I don’t know. That is the chance you take when you write a book. NW: MW, do you think it is important to tell the truth as much as possible when writing a bio? Furthermore, do you think people embellish to make a book more commercial? MW: It is critical to me to be honest in your writing. I think anyone that embellishes a story to make it commercial is only kidding themselves. I agree with Mike T. Like him, I wrote the facts and let them fall as they may. He supports my point. MT: Can I address this, too? MT: I don’t know what other people do. I told it exactly like it happened, warts and all. I am not smart enough to lie – you have to remember too much. I just told the truth and let the facts speak for themselves. People tell me they appreciate that candor. NW: MW, if you could go back and add anything to your biographies, would you? Mike Trahan enjoying retirement with his lovely wife. MW: Probably not. I know that there might be one or two things that I might want to add and then I feel that they are not needed. I think I have left the emotions on the page and that is what I wrote them for. NW: MT, do you think you will ever look back at your memoirs and wonder what else you could have added? MW: Love that last sentence! NW: (laughs) MW, if a reader wrote to you and asked you to sum up your life in one sentence, what would you write? MW: Someone who took a round-about route to learn the importance of love and family. NW: MT, what would your summed up sentence be? MT: Everything he did, he did with great passion and enthusiasm. He was not afraid to give life a try. NW: Thank you for your time guys! MT: I enjoyed it! Thank you, Nick! MW: Me too! Thank you! I agree and disagree with the fact that our news was filtered. I can’t count the number of former friends who were more than willing and “kind enough” to let us know just how wrong headed we really were while we were in country. As for being called names…those who did that to me only made the mistake once. One more factor to this interview I don’t think was explained and was a factor most ground combat folks will readily admit to. When you were in the field you didn’t know and to tell the truth didn’t care what was being reported at home. I’ll use Tet as an example of just what I mean. Cronkite was telling the world the war was lost….we were showing the NVA we didn’t like surprises. This is most likely the only war won on the battle field and lost in the seats of power in DC. 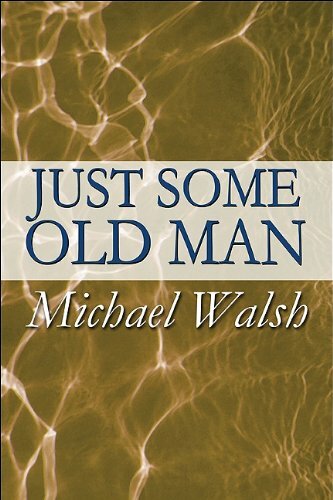 Just Some Old Men: Summit Meeting With Mike Trahan and MW | Novel Ideas | Hey Sweetheart, Get Me Rewrite! Why I Will Take The Whole Summer To Write My Next Book…. | Novel Ideas | Hey Sweetheart, Get Me Rewrite!